One of the most common variations of the traditional barbell deadlift is the trap bar deadlift (aka hex bar). By standing inside the bar, the weight is closer to your center of gravity, putting you in a more advantageous position to lift the weight. As a result, you can generally lift more weight on the trap bar compared to the traditional deadlift. The bar also allows you to maintain a more upright posture, which places less strain on the back. Never let your spinal alignment change throughout the movement. This is how back injuries occur. The deadlift works your back muscles by forcing them to remain in isometric contraction. This means you are resisting motion, and thus strengthening these muscles. Lower the weight and work on technique. This places too much strain on both the hips and the knees. Your knees should remain aligned with your toes, or even slightly outside of your toes. Yes, the trap bar deadlift is easier than straight bar deadlifts. The weight is perfectly situated at your center of gravity which places you in an advantageous position to lift the weight. It is not unusual to be able to lift ~20% more weight on a trap bar than on a straight bar. Are Trap Bar Deadlifts Safer? 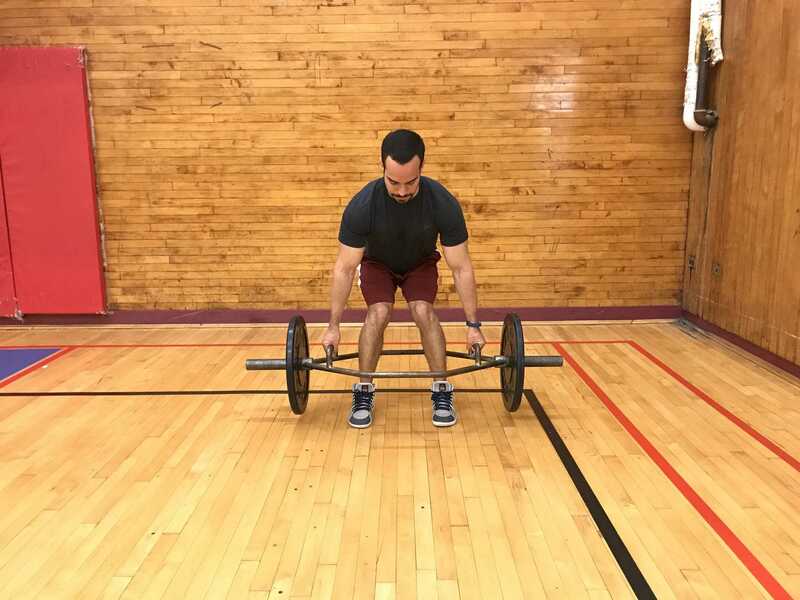 Trap bar deadlifts have the potential to be safer than the straight bar deadlift as your back angle can remain in a more favorable position at all times. With that said, you can still injure yourself if you aren’t paying attention to proper technique with either form of deadlift. Always pay attention to form! Does Trap Bar Deadlift Work Your Back? Yes, the trap bar deadlift trains your back muscles through isometric contraction. Any deadlift variation requires you to maintain your back in a flat neutral position at all times. In order to maintain this posture, your back muscles must remain contracted to resist any motion. However, you can decrease the amount of work your back does by changing your starting position. The more upright you keep your back, the less stress is placed on it. Can Trap Deadlifts Replace Squats? No, the trap bar deadlift cannot replace the squat. The benefits of squats are obtained from putting your knees into deep flexion, a position that cannot be achieved through deadlifts. Can I Do Trap Bar Deadlifts With Dumbbells? You can, but this exercise will become easy fairly quickly. To increase the difficulty of the exercise, you can simply do Romanian Deadlifts with dumbbells. Can I Do Trap Bar Deadlifts Without A Trap Bar? No. Just perform a conventional Deadlift, or a sumo deadlift. What Sets and Reps Should I Do On The Trap Bar Deadlift? The trap bar deadlift is a great compound exercise that responds well to all sets and rep scheme. A great place to start is 3 sets of 7-12 repetitions, and also 4 sets of 4-6 repetitions. 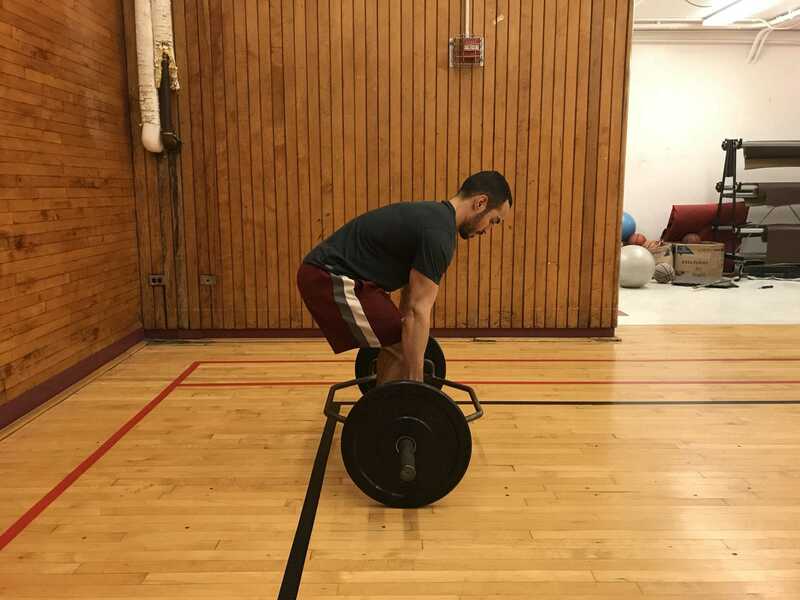 HOW CAN I INTEGRATE THE TRAP BAR DEADLIFT INTO MY TRAINING? Check out The WCT Best Workout Template For Busy Professionals to find a simple way to add the trap bar and other great exercises into your routine.